A fairly small island, about half the size of Washington, DC, Anguilla is the most northerly of the Leeward Islands in the Lesser Antilles. It is a flat and low-lying island composed of coral and limestone. Anguilla is affected by frequent hurricanes and other tropical storms during the rainy season (July-October). Anguilla has few natural resources, and the economy depends heavily on luxury tourism, offshore banking, lobster fishing, and remittances from emigrants. The Financial Services Commission (FSC), the licensing and regulatory body for the financial services industry in Anguilla, was established by the enactment of the Financial Services Commission Act on November 26th, 2003, and it commenced operations on February 2nd, 2004. The aim of the Commission is to help ensure that Anguilla is in line with international standards in the structure and administration of its financial services regulatory body. The Insurance Act, 2006 covers the licensing and regulation of companies undertaking domestic insurance, offshore and captive insurance, and of insurance intermediaries. No person can undertake any insurance business, in or from within Anguilla, without a licence granted under the Act. It is the duty of the Commission to maintain a general review of insurance practice in Anguilla and to oversee the conduct of persons so licensed. Anguilla is an observer of the Offshore Group of Insurance Supervisors (OGIS), and the Anguilla Financial Services Commission was inducted as a full member of the International Association of Insurance Supervisors (IAIS) in October 2007. 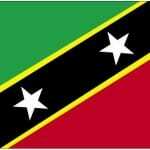 This nation consists of two major inhabited islands, Antigua and Barbuda, and a number of smaller islands. The permanent population number approximately 87,884 (July 2011 est. ), and the capital and largest port and city is St. John's, on Antigua. The climate is tropical with a terrain of mostly low-lying limestone and coral islands, with some higher volcanic areas. 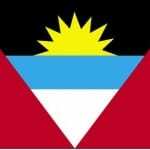 Antigua and Barbuda is affected by hurricanes and tropical storms (July to October), and periodic droughts. The economy is dominated by tourism, which accounts for nearly 60% of GDP and 40% of investment. The Financial Services Regulatory Commission (FSRC) is a statutory body mandated to regulate and supervise International Banks and Trust Corporations, International Business Corporations, Gaming Companies, International Insurance Companies, Domestic Insurance Companies, Money Service Business, Corporate Management and Trust Service Providers and the Cooperatives Society registered in Antigua and Barbuda. The Insurance Act, 2007, is the current legislation in effect to regulate insurance business activity, the operation of Pension Fund Plans, and all related matters in Antigua and Barbuda. The Superintendent of Insurance, appointed by the Board of Directors of the FSRC, is responsible for the general administration of this Act. The Bahamas is a chain of islands in the North Atlantic Ocean that sit adjacent to the United States and Cuba. The climate is tropical marine, moderated by the warm waters of the Gulf Stream, and the islands terrain tends to be long, flat coral formations with some low rounded hills. Because of its position in the Caribbean, the Bahamas is quite susceptible to extensive flooding and wind damage from hurricanes and other tropical storms. With an economy that depends heavily on tourism and offshore banking, the Bahamas is one of the wealthiest countries in the Caribbean. The Insurance Act 2005 came into force on July 2nd, 2009. It introduced a new system of licensing and regulation for domestic insurers based on the international standards set out by the Financial Action Task Force (FATF) and the core principles of the International Association of Insurance Supervisors (IAIS). Furthermore, because this insurance act is based on the Modern Insurance Bill (designed in 1973 by the Caribbean Law Institute), its provisions and accompanying regulations introduce a degree of harmonization with the insurance legislation of a number of other jurisdictions in the region. The Act also provides for the establishment of an independent supervisory authority the Insurance Commission of The Bahamas. The Commission is responsible for the regulation of all insurance activity in, or through, the Bahamas. It is concerned with protecting the interests of the insuring public through the ongoing monitoring and control of insurers, agents, brokers, salesman, underwriting managers and external insurers. 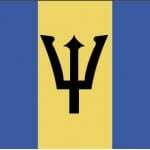 Barbados is the easternmost Caribbean island. Because of its geographic location, it is infrequently affected significantly by hurricanes during its rainy season (June to October), but it is subject to periodic landslides. 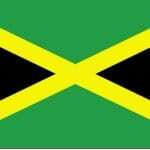 Barbados terrain is relatively flat, with a gentle rise to the central and northeastern highland regions. Barbados' economy used to rely on sugarcane and cultivation related activities, however, in recent years, the economy has expanded into light industry and tourism. Currently, approximately three quarters of the GDP, and 80% of exports can be attributed to services. 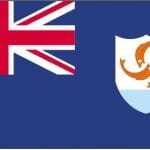 On March 8, 2011, Barbados Parliament passed a bill approving the creation of a new regulatory entity, which would be charged with the strengthening and consolidation of the functions carried out by the Supervisor of Insurance, the credit union arm of the Cooperatives Department, and the Securities Commission. 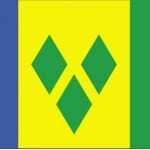 Subsequently, on Friday April 1, 2011, Barbados established a Financial Services Commission (FSC) to regulate the non-banking financial services sector, which includes all insurance business activities. Belize is located in Central America, bordering the Caribbean Sea, between Guatemala and Mexico. The climate is very hot and humid, with a rainy season (May to November), and a dry season (February to May). Its terrain is mainly flat, with low mountains to the south and a swampy coastal plain. Belize is susceptible to frequent, devastating hurricanes (June to November), and coastal flooding (especially in the south) throughout its rainy season. Tourism is the largest foreign exchange earner in its economy, followed by exports of marine products, citrus, cane sugar, bananas, and garments. The Supervisor of Insurance Office has been established, within the Ministry of Finance, to oversee: the administration of the Insurance Act No.11 of 2004; all insurance regulations; the collection of statistical data; and advising Government on insurance matters. The Cayman Islands is a group of three islands (Grand Cayman, Cayman Brac, and Little Cayman) situated in the Caribbean Sea, south of Cuba, and northwest of Jamaica. Its climate is tropical marine and consists of warm, rainy summers (May to October), and cool, relatively dry winters (November to April). The islands are comprised of low-lying limestone base surrounded by coral reefs, and they're affected by hurricanes from July to November. 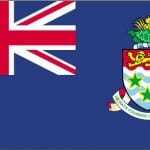 The Cayman Islands is a thriving offshore financial centre, as there is no direct taxation. As of 2008, more than 90,000 companies were registered in the Cayman Islands. Along with the offshore financial industry, tourism is a significant economic contribution, accounting for approximately 70% of GDP and 75% of foreign currency earnings. 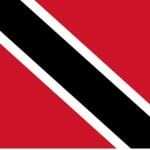 Dominica is an island of volcanic origin with rugged, mountainous terrain. Its climate is tropical, with heavy rainfall that is moderated by northeast trade winds. Flash floods are a constant threat, and hurricanes are to be expected in the late summer months. Dominica's economy has been mostly reliant on agriculture, primarily bananas in years past. Progressively more, the economy has been driven by tourism. 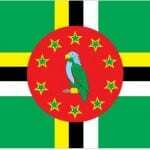 The Government is seeking to promote Dominica as an ecotourism destination. 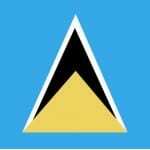 Regulation of the Insurance Industry Dominica's Insurance Industry is regulated by the Financial Services Unit, which is a division of the Ministry of Finance and Planning. 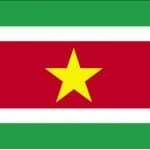 Located in northern South America, Guyana borders the North Atlantic Ocean, and sits beside Venezuela, Brazil, and Suriname. The climate is hot and humid, with two rainy seasons (May to August, and November to January). Flash floods are common during the rainy seasons. 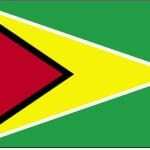 The Guyanese economy is based mainly on agriculture and extractive industries (oil, gas, and mining), and it has shown indications of moderate economic growth in recent years. The following six commodities - sugar, gold, bauxite, shrimp, timber, and rice - represent nearly 60% of the country's GDP, and are extremely vulnerable to adverse weather conditions and fluctuations in commodity prices. Guyana's entry into the Caricom Single Market and Economy (CSME), in January 2006, has created more options in the country's export market; especially in the raw materials sector. Haiti occupies the western one-third of the island of Hispaniola; the Dominican Republic occupies the remainder. Its terrain is mostly rugged and mountainous, and the climate is tropical, yet semi-arid in the East where mountains cut off the trade winds. Haiti is subject to severe storms from June to October (which can result in occasional flooding), as it lies in the middle of the hurricane belt. It can also be affected by occasional earthquakes and periodic droughts. A massive earthquake (of magnitude 7.0) struck Haiti in January 2010. The epicenter was about 15 km southwest of the capital, Port-au-Prince. It is estimated that 2 million people lived within the zone that experienced the most significant structural damage. The earthquake was determined to be the worst in this region over the last 200 years, and a considerable amount of international assistance has been required to help the country recover. Haiti is a free market economy. To its advantage, labour costs are low and it enjoys a tariff-free agreement with the United States for many of its exports. Poverty, corruption, and extremely limited access to education, for the majority of the population, are among some of Haiti's most serious disadvantages. The economy suffered a severe setback last year when the earthquake destroyed much of Port-au-Prince and its neighbouring areas. 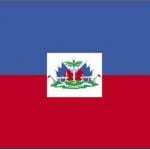 Already the poorest country in the Western Hemisphere, with approximately 80% of the population living under the poverty line and approximately 54% living in abject poverty, the damage to Port-au-Prince caused Haiti's GDP to be reduced by an estimated 5.1% in 2010. La Banque de la ®publique d Hati/Bank of the Republic of Haiti (BRH) is the central bank of Haiti. Among other financial duties, it is responsible for the supervision and regulation of Haiti's Credit Unions and Co-operatives, and Foreign Exchange businesses, through la Direction d'Inspection Generale des Caisses Populaires/Directorate of Supervision of Credit Unions (DIGCP), and Surveillance des Activites de Transfert de Change/Supervisor of Foreign Exchange (SATCH), respectively. However, there are no legislated, or formal regulations in place, at this time, for the Insurance Industry.